Samara Private Game reserve - Local residents Big Five game drive special. 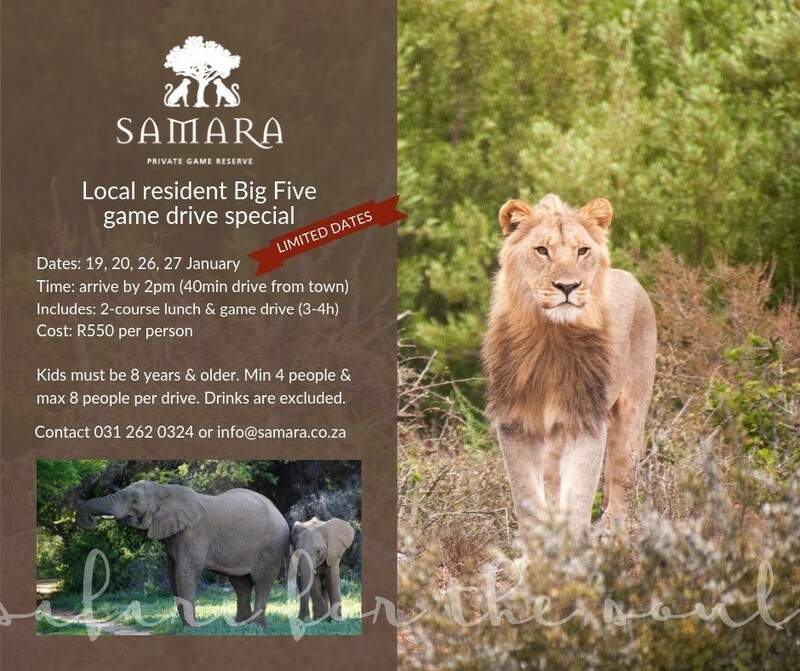 To celebrate Samara’s new Big Five status, the reserve is offering local residents a game drive special on selected dates. Come and experience what Samara is known for - warm hospitality, rolling landscapes and intimate wildlife encounters - at a fraction of the price.